The extreme conditions in our food supply call for the awareness and conscientious purchasing habits on behalf of the consumer public. Avoiding GMOs is not always easy, but to ensure good health and a clean environment, it’s an absolutely necessity. A lot is at stake when we consider the current state of contamination in our food supply from GMOs. So I’d like to focus on ways to make finding sustainable foods as easy as possible, and promoting buying habits which support mindful local farmers and producers who are committed to using sustainable methods in their food growing practices. Many farmers have realized the importance of sustainable methods in farming. There are some wonderful organic and sustainable farmers who take careful stewardship of our land. Many farmers and food growers have challenges becoming certified organic, but that doesn’t mean you can’t ask around and find out which ones are certified organic or who are using “organic practices”. GMOs are some of the most common substances now in our food supply. These organisms have been shown to promote the spread of pathogenic bacteria not only in the soil in farming environments, but in our digestive tracts as well. This spread of bacteria has contributed greatly to the degradation of our soil and crop yields, as well as health issues: digestive disorders, autism, cancer, reproductive issues, and auto-immune disorders. Dr. Donald Huber, PhD., professor of plant biology (formerly of Purdue University) is trained in microbiology, plant physiology and pathology, and has a background in genetics. He is a seasoned expert in soil-born diseases and host-parasite relationships, and has researched, written, and spoken about the dangers of GMOs to our environment and our bodies. Recent research from Stephanie Seneff, an MIT scientist, has shown that GM technology is doing more damage than previously understood. In her study, she looked at the use of glyphosate, the active ingredient in Roundup, Monsanto’s widely used herbicide, and its role in the increase of Celiac disease as well as gluten intolerance, and other digestive disorders. These health problems have becoming increasingly more pervasive over the last 10+ years. Read more from her article on the The Weston A. Price Foundation. Here is a list of papers, studies, other scientific literature and presentations Stephanie has prepared and given on the topics of disease and nutrition. Watch this informative interview with Stephanie Seneff and Jeffery Smith of the Institute for Responsible Technology. I’d like to offer 4 ways we as consumers can send powerful messages to farmers and companies using these organisms to produce food. That means we not only have to educate ourselves, but be mindful about where we put our dollars in buying food and other products that could contain GMOs. Practicing what we preach is critical. 1. When shopping, research where the food or product you want to buy comes from. This can be tricky to navigate because so much of what is sold in stores is highly processed and suspect, making this the least preferred way to avoid GMOs. If you have no local farmers nearby from which to purchase food, download the Non-GMO Shopping Guide, prepared by the Institute for Responsible Technology. Get in the habit of asking store employees questions. If they don’t have the answer, ask the store manager. If he or she doesn’t have the answer, contact the company personally. Many companies which sell products in stores are not sustainable and do used GMO-sourced ingredients. Never assume a product is GMO-free because it says “natural” or that the meat is not from a feedlot because it says “free-range”. Many of these labels are meaningless and there are no laws in place requiring those terms to be backed by anything. Buy as many organic products as your budget allows, but be aware that due to loosening of FDA regulations and requirements, organic products are now commonly made with ingredients you might not want or are trying to avoid, so reading labels is absolutely critical. One example is the sweetener neotame (developed by Monsanto), a chemical derivative of aspartame. Highly concentrated, this neurotoxic sweetener is 7,000-13,000 times sweeter than sugar. According to Dr. Mercola: “In 1998, Monsanto applied for FDA approval for neotame, ‘based on the aspartame formula’ with one critical addition: 3-dimethylbutyl, which just happens to be listed on the EPA’s most hazardous chemical list.“ It often doesn’t appear on the label at all, or can sometimes be listed as some other ingredient that is unrecognizable. If something doesn’t seem right about a product you’ve been buying for a period of time, make inquiries again because the way things are produced and ingredients used are subject to change. 2. Avoid chain/commercial store shopping as much as possible. Shop at smaller, independent health food stores and co-operatives. On Agriculture Society, I wrote a post discussing 8 reasons I won’t shop at Whole Foods Market . I feel strongly about avoiding corporate chains that claim to sell local, sustainable foods because marketing claims can be dubious, and powerful lobbying interests of big corporations like Monsanto are in place everywhere to get GMOs in the food supply. In Boise, Idaho where I live, we have a wonderful health food store here called The Boise Co-op, which has been in our community for decades and heavily supports local sustainable and organic farmers and food growers, as well as merchants who produce other safe, local products. We also now have a Natural Grocers which is extremely mindful about pasture-raised practices in farming and focuses a lot of their offerings on organic and GMO-free products. In Boise, people have remarked to me that they feel the Co-op is too expensive. Although there are exceptions, Whole Foods prices aren’t cheaper, in my experience. There is no guarantee that the products you buy which might be labeled as “natural” (as one example, their 365 line) are free from GMOs, that their meats are 100% grassfed (the USDA only requires that the labeled meat be from animals that are 30% grassfed), or that their products are actually local. This is one of my biggest concerns about labeling and marketing. Simply because the label says “all-natural” doesn’t mean it is, and large corporations like Whole Foods are in the habit of letting you assume something is non-GMO just because the label says “natural”. There are certainly GMO products in other stores besides Whole Foods, so don’t worry, I’m not being naive. But why switch to a large corporation which is putting farmers and other local companies out of business, when you can support your local farmers by buying direct or by shopping at the businesses that stock the same products and you can actually find out whether these farmers use practices you can trust? Although Whole Foods has signs everywhere announcing that the store offers local products, the reality is this: stores like Whole Foods ship in products from all over the country and the world – such as from China. They stock much less in the way of local food products than bigger, brand-name name products shipped in from all around the world. 3. Buy from local farmers and ask questions about how your food is produced. Because labeling laws are so permissive and we really can’t trust big corporations at all, the single most powerful way to make a statement about GMOs and to assure your food is clean and sustainable is to buy from local farmers. You have complete control this way, and can keep looking until you find what you want. If you decide to settle for something that’s less than what you are looking for because you are just guessing or you haven’t really made an inquiry, you get what you get. I don’t live in Amish farmer country, but we do have a fantastic community of farmers that produce sustainable food here in the Boise area. I’ve managed to find several reputable sources of raw milk that are grass-fed. In our area, grass-feeding year round is not always possible. At least I know that these raw milk farmers feed either grass or non-GMO alfalfa hay since I’ve personally talked to them about it. These producers are not certified organic but do use organic practices. 4. 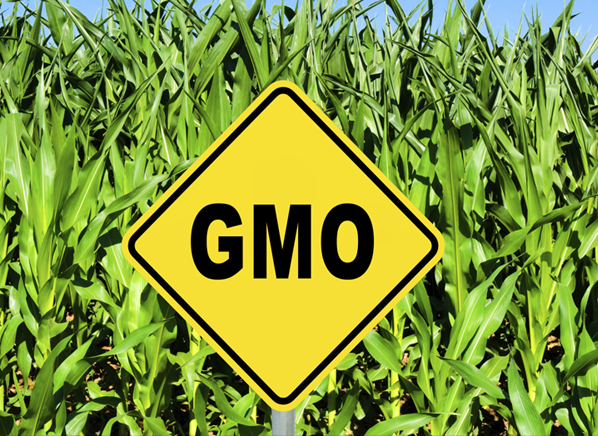 Learn all you can about GMOs and what to expect, and share with those you know and care about. Spread the word to people around you. Get involved in your own community to help keep local, sustainable farmers in business. In Europe, Austria, Bulgaria, Hungary, France, Germany, Greece, and Luxemborg have put a ban on GMOs. To get GMOs removed from the U.S., the first and most important thing to do is change your buying habits, and get in the habit of avoiding them everywhere you go. Next, put pressure on legislators to vote for legislation requiring labeling on all GMO products. New technologies, marketing campaigns, and other emerging activities which can easily fool consumers are always on the horizon. Don’t be fooled! We as consumers have POWER to take back our food supply and put our health in our own hands. Are we up for the challenge? Are we dedicated to protecting our food freedom, our health, and our future? I am, and I hope you are too! If we don’t take back our food supply, who will? If we don’t do it now, then when? The time is now, and the situation is fervent. So please, I humbly ask you to consider the impact these organisms have on our health, our planet, and the future of our children. let’s get serious and change our buying habits for a healthier future! Institute for Responsible Technology for more information and for the GMO Shopping guide, which can help you avoid GMOs both in the commercial marketplace and otherwise. Millions Against Monsanto Campaign (project of Organic Consumer’s Association). Find out how you can become involved and stop bio-terrorist bullies like Monsanto from spreading their poison seed across the earth. The Non-GMO project – non-profit multi-stakeholder collaboration committed to preserving and building sources of non-GMO products, educating consumers, and providing verified non-GMO choices. Have you found it challenging to avoid GMOs? What steps do you take?